Raquel comes from a family of four siblings, she being the third born. Her Mother, Sister Dinah Asabea (Caterer, Teacher, and First Aider) raised all four children mostly alone and worked hard in giving them a good life. Raquel’s father Mark Ayitey Ammah (Farmer and Chef) spent more time traveling. Raquel attended school in London from Kindergarten to University level. After Secondary School Raquel was then accepted into Sixth Form. There she studied English Literature and Drama. After completing the first year Raquel’s English Teacher recommended that she start fresh at college doing something more practical. She believed that Raquel’s focus point was on Acting, Singing and Dance and because of this Raquel’s concentration in her usual class was never a hundred percent. According to several of her teachers Raquel was a pleasure to have in Hounslow Manor Secondary School over six years. A true teacher’s pet. Now was the time for her to move into other ventures and Institutions to then concentrate on her Art skills and abilities. Raquel studied an NDPA (National Diploma) in Performing Arts and Extra Dance/Choreography Class at West Thames College. She also worked part time as a student mentor in her previous Secondary School and then as a sales assistant in the fragrance department of Debenhams. Raquel’s Triple Distinction (3+A) and Merit (1+B) Grade landed her a scholarship to any University of her choice. Roehampton previously The University of Surrey was her preferred University where she studied a BA in Drama, Theatre and Performance Studies a three year course. Raquel after two years of studying took a one year gap intending to return but ever since entering her music career has never gone back. Raquel’s tutor claims that ‘Raquel in completing her degree would have definitely graduated with a First class BA but indeed welcomes Raquel at any point in her life where she feels to return however for now they support Raquel in her decision to try and pursue her music career. Raquel has been signed to her Management BlackStar SR Entertainment and Executive Record Label [Trublackstarz Muziq] since the year 2005. Growing up as a child Raquel expresses how much influence her Mother and Father had on her musically. She recalls hearing a lot of Reggae including the likes of Jimmy Cliff, Bob Marley, Culture, Lucky Dube, IJAH Man, Peter Tosh to name a few and also Hi life music from Pat Thomas, Kojo Antwi, Amakye Dede and more. She also grew up listening to the likes of Prince, Kool and the Gang, Michael Jackson, Millie Jackson, Shirley Brown, Betty Wright, Whitney Houston, Tracy Chapman, Luther Vandross, Stevie Wonder, Eddy and Charles, Pointer Sisters, Sister Sledge, Shalama, Diana Ross and more. She also admitted how much influence her senior brother had on her with bringing hip hop music into her life with the likes of Wu tang clan, Nas, Mobb deep, Da brat, Tupac, Junior Mafia etc. Destiny’s Child, Jade, SWV or 702. The two resembled the modern Mel and Kim. Randy Crawford, Aaliyah, Mary J Blige, Monica, Jasmine Sullivan and Shirley Brown. 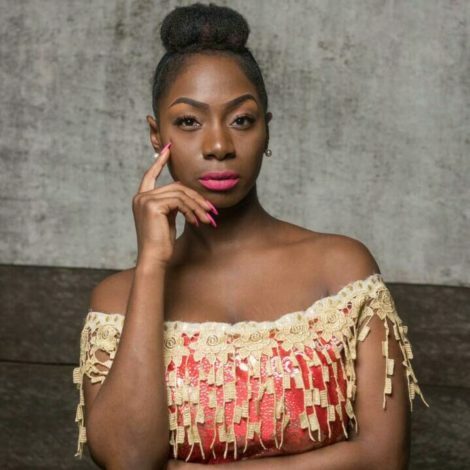 ‘Pressure ft Guru’, ‘Be In love’, ‘Min sum)b) ft Jay B’, ‘Get Wild ft Guru and Sarkodie’, and ‘This Is Me’ which featured as a soundtrack in the 2009 Shirley Frimpong Manso Movie ‘A Sting In A Tale’. The first Official single ‘Odo’ (with element of Twi and English) was released in 2009, under the executive producers BlackStar SR Entertainment and trublackstarz records, Recorded at Hush Studio’s, Produced by Kwadwo and Mixed by Jays0 (Ebuzu/Skillions Record), the Video was shot by Abraham Ohene Djan (OM Studio’s). Ghana UK 2005, December2Remember, Mario Live in Ghana, Loud In GH, Movado Live In Ghana, Red Lipstick, Rapperholic Concert, Ghana Fashion Week, Lloyd Live In Ghana, World Aids Day, YFM Launch, VGMA In Takoradi, Saturday Night live, Okyeame Kwame’s (The Versatile Show) and more. She has also headlined her own shows organised by BlackStar SR Entertainment such as Raquel Live at +233 Jazz Bar and Grill Valentine’s Day special (Raquel’s Cupid Party), Raquel Live on the Dodi Princess, Raquel Live at Vanity plus more. Raquel played the lead role of ‘Maria’ in the old time classic film ‘Sound Of Music’. It was a stage production. Several media houses were present and called Raquel’s performance spectacular and breathtaking, funny and witty and recommend that she play the role again in case the chance pops up.